I ran into issues with my Macbook Pro running High Sierra 10.13.4. The problem is that Other volumes in container metric are showing over 176 GB of space taken and I am not able to reclaim it back. I am not running Time Machine on this computer. Pretty much the Capacity In Use By Volumes is showing 225.4 GB, but the sum of listed volumes is ~51 GB. I have no idea where my 176 GB of disk space is. Browse other questions tagged macos hard-drive disk-utility disk-space apfs . 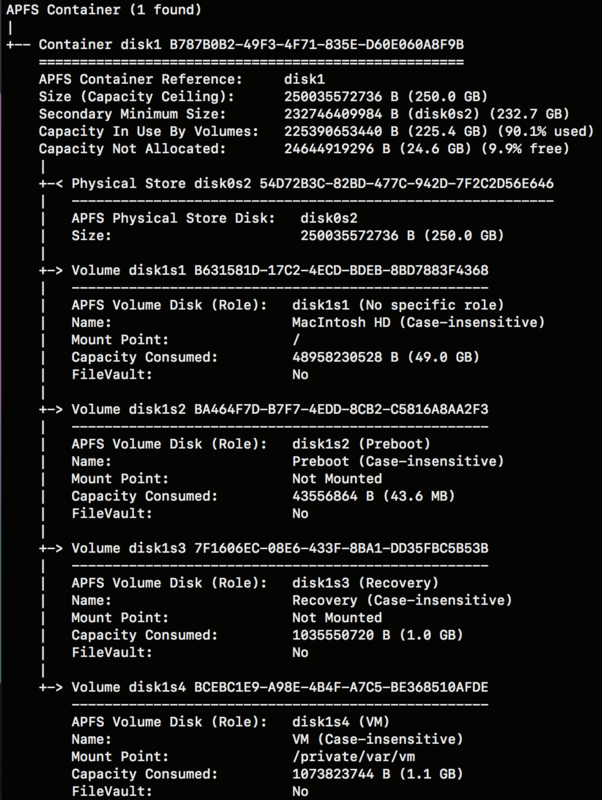 What Would Cause APFS Volumes to Show Up Under the Wrong Disk?